Join Eargasm Comedy and Yobo entertainment for The Kostume Comedy Show! 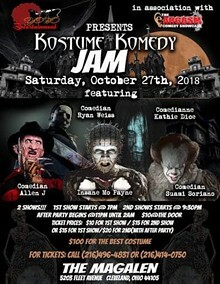 On Oct 27 6 comedians will gather for the craziest Halloween party in Cleveland! 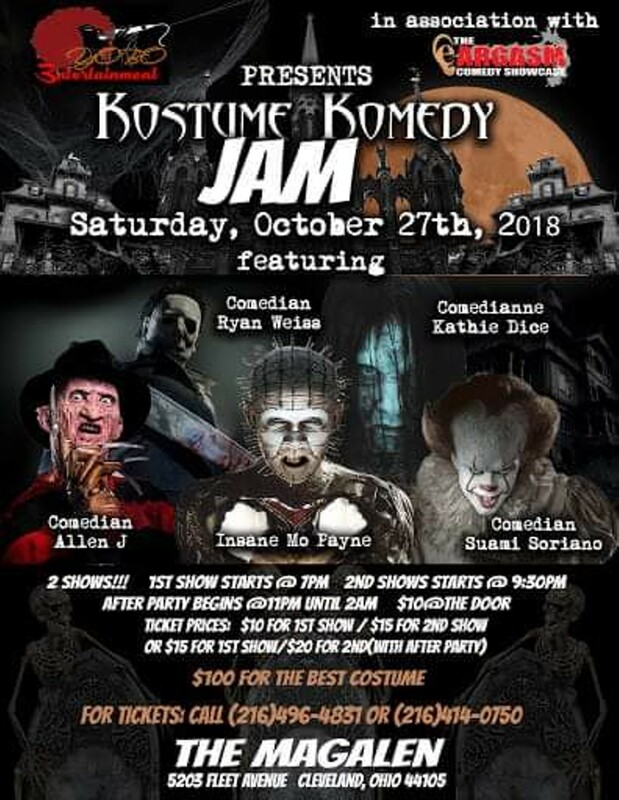 there will be live comedy, a costume party and a costume contest with 100$ cash prize! And the best part tickets are only 15$ for the late show or 10$ for the matinee! join us as we kick or Halloween ! !